Born in Guadalajara, Mexico, the Meza brothers along with friend Jorge Torres came together in the early '90s to form Los Inquietos del Norte. Recording for Fonovisa starting in 1995, the group has prided itself on its use of raw, street-level lyrics and a gritty musical approach. Felipe and Jos? Meza are the primary authors of the group's repertoire, comfortable in many styles, writing corridos, rancheras, boleros, and more. 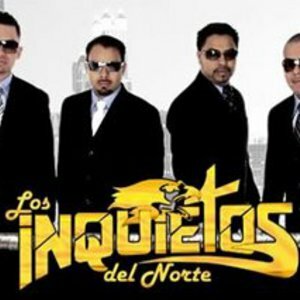 Los Inquietos have released nearly ten albums in as many years. Living both in Mexico and northern California (north of San Francisco), they have earned a large fan base both on their native soil and in the States. Touring regularly throughout California, Oregon, Washington, Utah, Nevada, and Illinois, playing for festivals and in dancehalls, the group is well known among U.S. fans of Mexican music. Radio hits like "Sin Ti," "La Angustia," and "Ya No Puedo Vivir sin Ti" have established Los Inquietos del Norte as important players in a rapidly growing genre.